The Port Authority of the Balearic Islands (APB) launches a new tool that will allow citizens to find out the air quality at the Port of Palma in real time. This is nothing short of a pioneering project, as the Port of Palma is the first that has such an extensive monitoring network –with 113 sensors– with which to measure air quality, offering up-to-date information every hour. The data published on the portal www.portsdebalears.com, in the “air quality section”, forms part of the commitments the APB has made in its Corporate Social Responsibility and Transparency policy and to the community to which it provides the service. The APB has invested 87,000 euros in launching this project –acquisition, installation and maintenance of equipment– and it has collaborated with the Universitat de les Illes Balears (UIB) in developing the tool. The collaboration started two years ago in July 2016 when the UIB took charge of defining the location and characteristics of the stations. 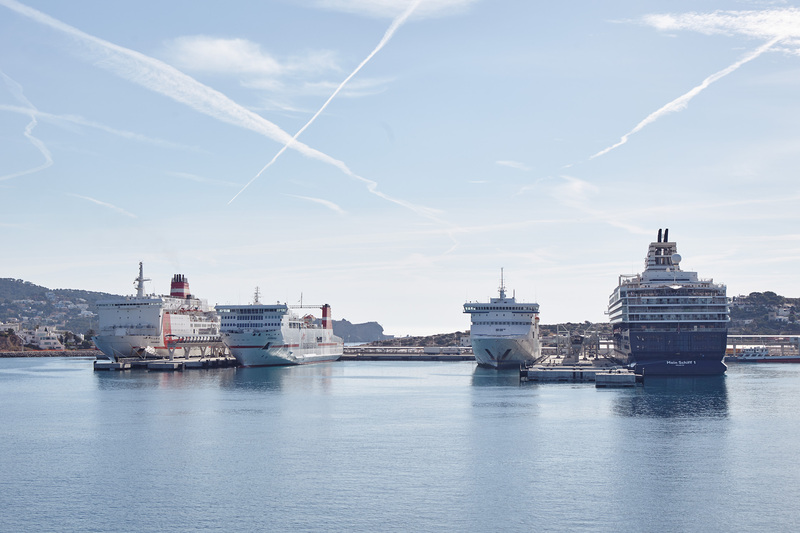 In July 2017, the SmartSensPort-Palma pilot project was launched at the Port of Palma, when a total of seven monitoring stations were obtained to measure the air quality. Each of these seven stations has nano-sensors that measure CO (carbon monoxide), NO2 (nitrogen dioxide), O3 (ozone), PM10 (solid or liquid dust particles) and SO2 (sulphur dioxide). Furthermore, there is a total of 113 sensors at the Port of Palma that report data every ten minutes. This control panel updates itself eight times a day and collects the average hourly value of the seven stations, following the same criteria established by the Government of the Balearic Islands for stations of reference in the Autonomous Community. Last July, after several months of collecting and analysing data by a multidisciplinary team of researchers from the UIB, the first conclusions of the SmartSensPort-Palma project were published. These determined that no clear correlation exists between all the activities undertaken at the port and the levels of contamination detected. This gave rise to the commitment of the APB to continue monitoring the air at the Port of Palma and to make the data public, while also extending the tool to the rest of the Balearic ports of general interest that it manages. Installation of the same nano-sensors at the ports of Alcudia, Ibiza, la Savina and Mahon is planned in 2019. This project complies with the Environmental Policy of the APB, which was approved by the body in November 2016.